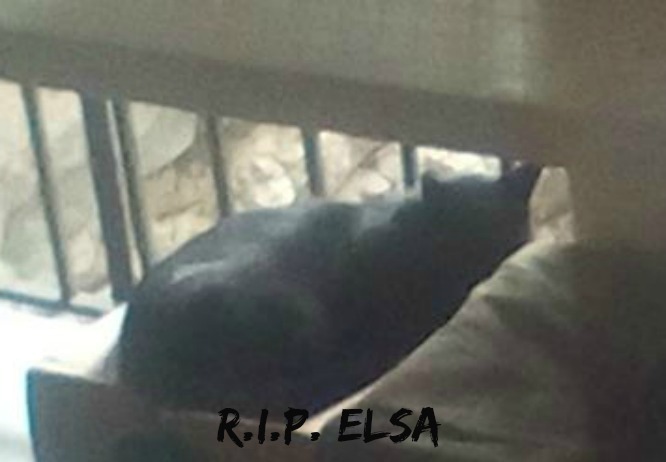 Elsa died yesterday. I don’t know at what point she came back into the yard but, for quite a while, I thought she was sun-napping on the grass. It wasn’t until I let Grem out for the afternoon that I saw her (Grem) run up to Elsa to patently annoy her. Elsa didn’t budge and Grem moved on. There was no sign of trauma or blood when I examined her, but there are so many dangers out there. Statistics give ferals an average 4-5 year lifespan. The vet estimated her to be 2-3 last year. With all the assistance and moral support of so many of you, we managed to get her through several very harsh winters and give her a home and a family. It’s not lost on us that she wanted to come home before passing away. For documentation, I took some pics of how I found her. I debated posting one but chose to show her at her best. * it's ironic that I never got to hold her until she was gone. That's why I was extra respectful while handling her.